Confession time: I am not Pony Club rated when it comes to caring for my tack. Not even close. In theory I love the idea of carefully cleaning and caressing all that leather. And I *do* enjoy cleaning the tack once I buckle down to actually do it. It's just.... Well. To be perfectly honest? It just doesn't happen all that often. I'm trying to get better tho. Especially considering how much I've invested in tack upgrades over the past year. Ahem. 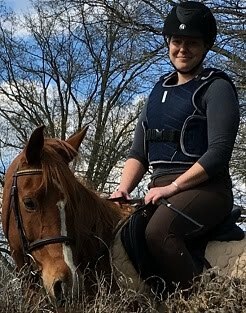 You might remember that I ooh-ed and aah-ed over the PS of Sweden bridle I bought from Aimee a couple years ago as the nicest piece of tack I owned. It's still a very nice piece of tack, and has since been joined by an equally nice jump bridle. But it's only since last winter that my saddle game stepped up to the plate too. 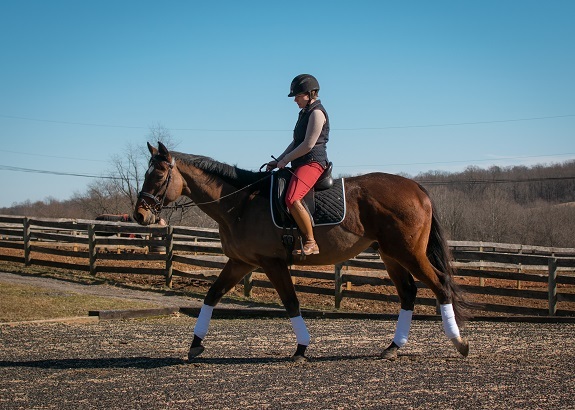 Last winter I upgraded my dressage saddle to a Hulsebos custom built for my trainer's late giant OTTB. And that saddle.... it's pretty fanceh, yah? With like, buffalo leather and the whole nine yards. Last summer the saddle maker himself, Jan Huslebos, actually came out and custom fitted it to me and Charlie. Including chopping off the bottom half of the thigh blocks to better accommodate my own geometry. At that time, I was admittedly slightly mortified to have him working on his own creation while it was in kinda dusty musty condition, ya know? So I bought a jar of the Hulsebos leather conditioner at the same time, and have since been better about applying it semi-regularly to my tack. post saddle surgery: those blocks used to reach all the way to the bottom of the sweat flap! More recently I went through that whole KonMari-my-tack-trunk episode (lol puns) and had to clean all that stuff too. I just used what I had on hand at home: some random saddle soap from a prize pack a few years ago, and my trusty Effax conditioner. One thing has stood out to me amid this whole tack cleaning and organizing frenzy: there really is a big difference in how well the higher quality stuff cleans up vs lower grades of leather. Even after years of neglect, the nice stuff just kinda bounced back to life, whereas the cheaper buys definitely bore the scars of their abuse. the new kid in town. the leather is so dreamy, so soft..... now to just keep it like that! Anyway, all this is to say: now that I'm the proud owner of a new-to-me french leather saddle (plus those lovely new tall boots that I continue to be super impressed by! ), I'm suddenly feeling quite a bit more motivated to keep my stuff in nice condition. The Hulsebos conditioner has worked well, as has the saddle soap I've been using. And I do like that Effax. Plus I'm honestly also a pretty big fan of regular old glycerin soap, and have heard great things about neatsfoot oil. At my first barn growing up we used Lexol on basically everything, too. I'm curious tho about other brands or products. All those butters and creams and oils and conditioners and wipes and polishes.... Are they all just variations of the same thing? Or do some really work better than others? Particularly, are there some whose effects last longer? Or that are easier to use? Is the key really all about wiping down after every single ride? Or are sporadic cleanings enough? Do you have any tried and true favorites? Or any horror stories or products you only use with extreme caution, or avoid altogether? Or maybe you're more like me, kinda just using whatever's on hand and hoping for the best? Are you like a mad scientist when it comes to the proper method of tack cleaning and conditioning? Must soap always come first? Or do you just slap some conditioner on top of possibly-grimy leather and call it good? My poor abused tack is dying (lol more puns) to know! I was just talking about this the other day! I'm a big believer in wiping down my tack after every ride with a damp rag. Then I use actual saddle soap once a week, and take apart the buckles every couple weeks. A few times a year I condition everything with Passier Ledersbalsam. That stuff is so moisturizing, I don't like to use it often. Obviously I'm a little... well, particular. Haha! But really I mostly just wipe with a wet cloth, and rinse off my bits. So yeah...I rarely clean my stuff except in the summer when everything gets moldy if not wiped down all the time. I want to clean my stuff, but then I forget or find millions of other things that need doing and never circle back around to it. In fact, I took everything apart at the end of the summer to thoroughly clean it and Gem's bridle is still in pieces because I never got around to putting it back together and I'm not riding her so it is way down my list of important things to do. That being confessed, I have used the Bates leather balm once since having my new saddle and loved it. Super easy, very moisturizing and smells great. I plan on maybe remembering to do that monthly. Though I forgot to in January so yeah. When I had my big money Wise saddle, I did oil it and use saddle soap on it regularly, probably monthly, while wiping it down with a wet rag every week. I was sans kiddo at that time and it was easier to find the time to do. I just did a thorough deep clean - take-everything-apart session with my bridles a couple weeks ago too and it was so satisfying!! But also like wow kinda challenging bc some of those leather pieces were fused into place ... whoops ? Why is it so hard to remember or make time?!? I like the Higher Standards leather cleaner. I freely admit I bought it because everyone was doing it, but I am really, really bad about keeping my stuff clean, and I felt like it did a great job getting the dirt off without a lot of scrubbing. I’ve oohed and aahed over that soap so many times - it smells so good! Maybe that’s the ticket for actually getting me to do the chores is make them at least smell nice while I’m doing them?! Higher Standers is one of my favorites! I like the Higher Standards leather cleaner and conditioner too! oh man, yea there's no way that my big tack is coming home with me to get cleaned.... no way at all. my apt is too small, that stuff is too dirty, and it's too much of a hassle haha. and my tack isn't even as big as a western saddle! also unrelated - i see you have a blog linked now, but no posts up yet. i'd love to read more about your ponies and everything you do with them! Good eye! :-) Set it up recently and have been waffling about posting ever since! I used to blog years ago and have been missing it lately. I use Sterling Essentials cleaner and conditioner. The cleaner doesn’t require water, just spray it on a sponge or cloth and clean. Rinse the spong out after you’re done and that it! It makes it so much easier to clean tack in the winter. now see, that sounds realistically doable haha! easy i think will just have to be my name of the game. setting myself up for success and all that lol. I have some Sterling Essentials and I dislike it. It seems like scented water to me. I'm not very kind to my tack either. Usually when I want to spend more time hanging out at the barn I'll deep clean everything, but mostly I dunk the lower part (bit & gunky flash straps) into water after every ride and pick the crud off. I mean, it is a micklem so usually it's just disgusting and I don't care. lol your poor sad abused unloved micklem.... such a shame all your horses have adored it so much haha! Don't be horrified, but we keep a bucket of water with some Murphy's Oil soap in the tackroom, and I actually dunk my entire bridle in (and swish it around) after each ride. Then I wipe it down with a dry rag. This actually keeps the whole thing - including the bit and those gross flash straps - pretty dang clean. About once every other week I throw some conditioner on it. So far I haven't noticed any problems with the leather drying out or anything. We refresh the bucket every day or two, depending on how many bridles get dunked and how gross the water is. Saddles get less love, but after I'm done wiping down bridles, I'll often take my slightly damp cloth and dust off the saddle. Girths get washed after every use though - mine are synthetic. This is what we used to do with the polo tack - just take the whole thing (bridle, reins, draws, breastplates) and dunk it in a huge bucket. Usually it was summer so we'd lay it either on the ground or a blanket before packing it up. yea honestly that idea kinda appeals to me, if i'm being honest. not sure it would be super healthy for my DJD browbands, but they just snap off easily enough anyway. the trick is figuring out how to keep a soapy bucket always on hand considering my tack locker lifestyle! I've used a lot of different cleaning products through work- we get the occasional sample and since we clean all the consignment saddles, we always have some product from the floor open. I like the Sterling Essentials cleaner because it smells nice and is very easy-to-use. I think the Passier Lederbalsam is the best conditioner out there, especially if you have a piece of dry and/or old tack. It revives the crustiest saddles! I wipe my tack down about once a week and dunk the bit in a bucket of water I keep filled for the dogs in the barn. I am not as fastidious as I used to be! hm i'm starting to get intrigued by this sterling stuff, will have to check it out! and ya know, honestly, just from the few comments here i'm starting to think it's less about being "fastidious" and more about being like.... routine haha. like maybe it doesn't have to be swabbed to within microscopic margins, but that if you're at least wiping the leather down regularly it'll stay ok. good food for thought! I wipe down my bridle (esp the bit) after every ride. The saddle only if it's dirty. I often have to clean the girth because of the mud. I'm with you. I like cleaning it when I actually buckle down and do it, but getting to the point of DOING the thing is hard for me to commit to. However, as I get nicer (to me!) items of leather, I do tend to put more effort toward cleaning them more often. My newest piece of leather, Griffin's now 18 month old jumping bridle has been cleaned a lot more often than any of my other tack! I have a feeling that when I have a proper tack room of my own and am not living out of my horse trailer that I will be much better about all things. It's just so hard to motivate when everything is crammed into such a tiny space so you can't even see it all. oh man there is SO MUCH truth to that!! reading through some of the solutions people have found to integrate frequent tack cleanings into their routines.... a lot of it is kinda hard to adapt to my lifestyle of living out of an over-stuffed tack locker haha. i keep trying to keep that space tidy decluttered and optimized (esp since i recently purged so much crap) but it's a constant struggle lol, and who on earth wants to deal with digging around just to find a friggin sponge or tack cloth???? Sooooo yeah I do not always take care of my leather either, despite having 2 calfskin saddles haha. I will say this tho - we have a ton of dust, so I really made myself wipe down my saddle after I rode because the dust is ridiculously pervasive. I used a very soft dusting cloth because any other cloth actually scratched the leather. I would dampen the cloth juuuuust enough to nab the dust. But that was when I rode almost every day and the saddles stayed in the dusty tack room. If I didn't get to wipe it off every day, I always covered it after every ride which helped immensely. Oops. Was that too long? haha! Hopefully not! re: the dust, that's something that's really on my mind a LOT this time of year especially, bc we spend so so so so much time in that indoor and the dust just gets everywhere. and it's soooo drying and gritty, ugh. i think that's part of why i really need to step up my game, tbh. and i'm with you, i don't often like to use soap without pairing it with conditioner. but i think that might be bc my tack is so neglected that it really needs all the conditioner it can get. maybe if i were better about staying on top of it, the process of only conditioning every few cleans would work better? idk haha, i need to experiment with systems that will work for my set up! Ugh. I sometimes *try* to clean my tack after every ride, but it normally only lasts a week at best :( normally my stuff just gets cleaned when it’s looking dirty. I would really like to get into the habit of taking better care of it though... as for cleaner, I always use Murphy’s oil soap and effax leather condition. I love that the Murphy’s cleans well and does not leave any residue on the tack (plus it’s inexpensive compared to a lot of other saddle cleaners), and then effax makes my saddle so nice and grippy! yea i'm the same way - i always have all these good intentions but they don't always stick. all these ideas here are super useful tho to hopefully help me come up with a system that is easy to integrate bc yea i really want to keep my leather in good shape! I used to clean tack every day... now? Not so much. ALWAYS if I'm showing, but I've hardly shown in years. Oops. That said, I'm really set in my ways when it comes to tack cleaning. I've found what I think works great, and I stick with it. Every time I stray, I have regrets. 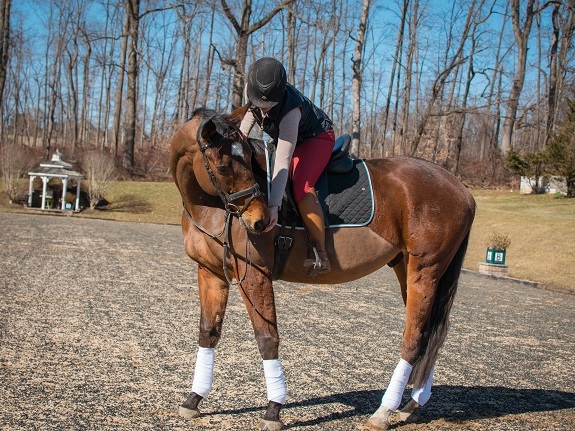 One time, a rep for a KL Select told me she uses warmed up olive oil on tack and it's the best thing to do. Well I did that on a new bridle and it was amazing as far as soaking in and making the leather really soft. But that freaking bridle would mold so easily! So I never did that again. For everyday, I clean with glycerin first, but only Carr and Day and Martin's. It's the best one. (they call it step 2, but I use it as step one.) I follow that up with akene (Butet's conditioner, it's a cream) on my saddle. I don't use that on my bridles that often, but you can, and it does a great job. I'm just a little lazy. Then once or twice a year, I'll take neatsfoot, warm it up in the microwave, and do a really thorough saturating of oil (bridles and saddles). My Hermes saddle is super old (got it in 2002) and going pretty strong (though I've um.. expanded since I got it, and it's a bit small for me now). gtk about the olive oil creating a mold problem. i know that stuff lasts forever but honestly i'd probably still worry about it going rancid eventually or rotting the stitching... also nice trick about heating up the neatsfoot oil! i'll have to try that! Part of why I love endurance is because all the tack is biothane and I can just dunk it in a bucket and call it a day. In all seriousness, though, cleaning leather has always been a weak point for me, even though I find the process therapeutic and I do love the sharp, classy look of well oiled, clean leather. ha yea the synthetic stuff is WONDERFUL for those reasons lol! and yea i definitely agree about the therapeutic properties of sitting down to clean some tack.... i just need to make it easier to actually get it done !! I was so much better about cleaning tack when I boarded. Now? Not so much. I am obsessive about cleaning bits... for Ranger, but less great about it for Batty now that my bridle lives in my trailer trunk. I should probably just get some bit wipes to help with that because I hate dirty bits (I usually wash Ranger's bit before riding). I'm terrible about cleaning tack now too. If I actually sit down to clean? I love it, but most of the time I don't bother. Mostly my issue is that I ride away from home now and have to take my saddle into the house to clean and it just doesn't happen. I try but I don't often enough. yea taking my saddles home is definitely not happening either, it's gotta be a system that works where my tack lives. at the first barn where i boarded charlie they always had bit buckets and soapy water buckets with all manner of soaps and sponges and tooth brushes set up in the heated tack room, and every lesson student was expected to clean their tack after each lesson. often i'd sneak in and take care of my stuff too - it was so much more convenient when it was all just out there set up and ready to go! not sure something similar would work where i am now tho. hm. I am terrible at cleaning my tack. TERRIBLE. I have to pack it all home to clean it because of the frozen tundra I live in, and by the time I get it home I don't feel like it. I only use the Higher Standards stuff. I have tried EVERYTHING and it gets top prize. No weird residue, doesn't strip the leather and keeps it nice and soft. The only time I use my other stuff is if I HAVE to strip the leather of something gross and that job usually goes to my Effax stuff. yea so many folks i know who have tried the higher standards really like it!! and i agree completely about not feeling like it once i get home haha. when i brought all that tack to consign home first for a cleaning, it was like pumping myself up for WAR to even get started. but once i was started? it was easy enough to just keep plowing through.... ideally i won't amass such a stock pile again tho haha! It really is about wiping off the dirt and sweat mostly. Condition once a week, oil as weather dictates. nice, thanks! and yea i definitely feel like i need to get into a regular wipe-down routine. 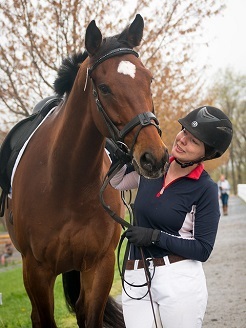 it's just kinda tough - charlie is such a standard TB haha, he can NOT STAND IN CROSS TIES post ride, no way, no how, or he WILL PEE ON EVERYTHING. so we've gotten into the habit of pausing briefly by my locker to strip tack quickly before getting him immediately back into his stall. and once the tack is in the locker... that is kinda that haha. still tho, the system can adapt, right? A couple of years ago I randomly kept winning tack cleaning products at shows (or maybe my coach was trying to tell me something). The one product we were gifted that I would probably buy more of is the Belvoir stuff. The conditioner in the jar is pretty good! I don't like the Lexol ones at all and use the Fiebling's saddle soap spray only if I'm desperate. I keep using them because it seems wasteful to spend money when I have ones I got for free. SUCH a great post!Also, who are these people that wipe down their tack after every ride? I envy their meticulous care. But it's not happening for me. Luckily I live somewhere with relatively no humidity so things don't get too gross. i know, right??? i only WISH i could be that meticulous haha, but then again i'm always kinda embarrassed by the dry scratchy quality of my leather compared to other nicer kept stuff so maybe it's time to get serious about it? I haven't used very many different products, mostly just Passier lederbalsam and saddle soap (which I was very impressed with), Fieblings soap, and the Effax lederbalsam. I used a lot of neetsfoot oil when I was trying to break in a saddle a long while back. At my new barn, they have a tack cleaning station set up right where we tack and untack our horses. There are several sponges, a sink, and a tub of glycerin or Fieblings saddle soap right there. And EVERYBODY, well nearly everybody, wipes down their tack after every use. At first this was really frustrating for me because it was taking me so long, but now that the accumulated gunk is gone from my tack, the wipe down takes about three minutes tops. Five or ten if I'm going for a more intensive soaping. It's become such an ingrained habit that even when I was visiting CA recently I started rinsing off the tack I was using. And, the glycerin soap I used on my new dressage bridle made it soften and break in like no other product. So that was neat. those tack cleaning stations are where it's at, to be honest. that's maybe one of the things i miss most about charlie's first boarding barn (plus the heated indoor wash stall, oh and the larger nicer indoor, but who's counting!). i'm trying to think of ways something similar could be integrated into my current barn but am not so sure yet. we'll see! I had neatsfoot oil rot some stitching on a bridle once and haven't used it since! My go-to's are: wipe down after every ride with a lightly damp rag sprayed with a 1:10 ammonia:water mixture. (If it's warm enough and I'm not feeling lazy...). Clean once a month with Higher Standards. Condition once every couple months with CWD Conditioner. i remember you writing about the ammonia mixture to protect against mold - such a good idea! Congrats on the new saddle! I'm pretty awful about tack cleaning, as I only usually have 1.5 hrs at the barn on weekdays. After every deep tack cleaning, I always tell myself I'm going to be more regular about it...then multiple weeks will go by. I really *do* need to be better though, as I spent a lot of $$ on my stuff and I only have 1 set of everything so it needs to LAST! ha yea you and me both. maybe this year will be the year that we do our tack justice and stay on top of it??? I won a little tub of MOSS Goat's Milk saddle soap recently and I've got to say, I really like it. I usually just go for glycerin to clean my leather tack (or Murphy's oil soap when something is really gross), but this stuff smells great and the leather feels good afterward. When I'm on top of my cleaning, this is all I use about once a week. Lederbalsam as needed (always lederbalsam the night before cross country for extra stick). I avoid neatsfoot oil because it always leaves the leather feeling oily/funky afterward. I used to break in all of my bridles with it, but these days, my bridles don't need conditioner to break in. But it's the dead of winter and about 15* out. My tack is not clean. None of it. I rotate my tack sets home on the weekend to get them cleaned when the situation is out of hand, but that works out to about once a month per set of tack. I might own too many sets of tack . 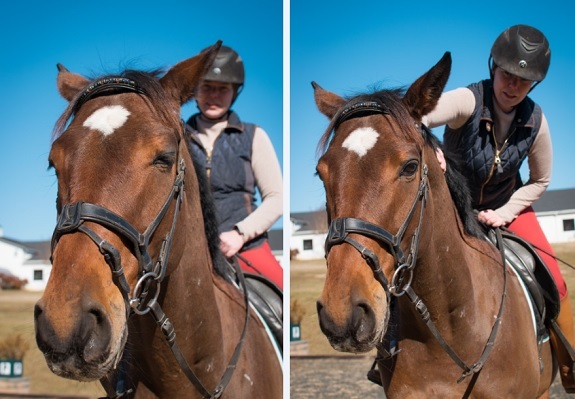 . .
Oh, do not fall for the individual tack cleaning wipes! I tested one I got in a grab bag and it left my tack super slick. I keep the individual bit wipes in my show trunk but the wipes went straight into the garbage. I generally only get around to tack cleaning before shows. Luckily we show a lot so our show tack gets cleaned quite a bit. The rest of it suffers a bit though. I love HSLC. Smells great, works great, lasts a long time, not horribly expensive. Checks all the boxes for me. ha i always feel like i show a lot too, but then i don't always clean my tack for every show so.... yea. it still gets neglected. one of these days i'll definitely pick up a jar of higher standards too. one of these days..... smells so yummy! I'm an ex high level professional dressage groom. I'm am slightly obsessive about tack care and I find cleaning tack really relaxing. It's my number one thing to destress. I use what we used at the farm, Belvoir step 2 (conditioner). Avoid this product on rubber reins though, they will disintegrate. I only use soap if there gets to be build up but really a damp rag and a few squirts of the Belvoir and wipe down. Black leather in particular can rub off and brown with the wrong product so I don't mess around with anything else. I use Passier leatherbalm for really dry leather but it can rot stitching with too much use. I knew a jump trainer who just used ivory soap everyday and leatherbalm once a week on all tack. One last thing: bits soaked a few minutes in denture cleaner. Keeps them sparkly and fresh. so that's so interesting - i've always wondered what it was that caused rubber reins to get nasty like that and suspected it was something to do with a cleaning product. the rubber reins on my xc bridle now feel like they might be taking a turn for the worse and idk what to do about it, really. anyway one of my friends raves about the Belvoir too - it sounds like great stuff. and i've totally used normal toothpaste on bits before lol. but yea, i wish i was as obsessive about my tack. instead i kinda just look at it being all dry and dusty and feel sad... hopefully tho after all this i can get better about at least starting with the wipe downs after each ride! I don't clean my tack after every ride, but I do before every show. I have a variable routine for cleaning it too, it depends a bit on the time of year and how clean it is to start with! It's so easy to get too much on with the neatsfoot (ask me and the leather bracers I oiled for my husband that are STILL leaching oil years later - oops); I much prefer to get something with neatsfoot rather than straight-up neatsfoot if I'm going that route. I actually love cleaning tack - it was a great escape when the campers were getting annoying when I worked camps for my instructor, lol - but I find it's harder to get around to it when I don't have a good setup, which I don't right now. I've rotated through a few things, Lexol being high on the list, but I haven't settled on a favorite quite yet. Re-Post: Just Call Him Supa-Man!